Do firms benefit from active labor market policies? 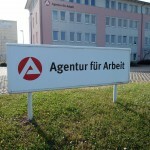 In order to answer this question, Michael Lechner, Conny Wunsch and Patrycja Scioch investigate the link between variation in the supply of workers who participate in specific types of active labor market policies (ALMPs) and firm performance using a new and rich German employer-employee data base. The paper exploits that local employment agencies in Germany have a high degree of autonomy in determining their own mix of ALMPs. In addition, firms’ hiring regions overlap only imperfectly with the areas of responsibility of the employment agencies. This mismatch allows the authors to identify the effect of ALMPs on firm performance. The results indicate that in general firms do not benefit from ALMPs and in some cases may even be harmed by certain programs. In particular, subsidized employment and longer training programs seem to be detrimental to firm performance. These findings complement the negative assessment of the cost-effectiveness of ALMPs from the empirical literature on the effects for participants.